Christian Resources Leicester - WE ARE MOVING! We can now officially tell you that we will be relocating to a BRAND NEW SHOP next March as part of the new Cathedral Square Development next to Leicester Cathedral. More news coming soon....!! I have to say that for me personally it’s all very nostalgic: this was my school! That gym you see is where I had PE lessons and those upstairs rooms are where we had our science lessons, oh yes! And if you seriously think those little wooden knobs would stop teenage boys sliding down the bannisters, you were never a teenage boy!! And now — somewhere — the place is going to be home to Leicester’s leading Christian bookshop: bring it on! Mary Magdalene Orthodox Church, Bradford: Attractive well maintained grade 2 Listed church building. Suitable for a variety of community/commercial uses - subject to consents. PRICE NOW REDUCED FROM £250,000 TO £125,000! President of an international Orthodox Christian charity, Churches & hospitality units, sales exceeding £4 Million ($8 Million) annually. 24 retail bookshops, 180+ employees located throughout the United Kingdom. In this capacity, responsibilities included hiring, coaching and training retail store managers. Developed flat world approach to management structure for flexibility and cost savings. Acquired redundant Churches from the Church of England. Responsible for maintaining Churches and bringing them back to use as Christian Churches for the Orthodox Church. Established hospitality units for the Charity. The photograph below, sent in by a concerned individual, of the former SPCK Bookshop in Worcester, looking empty and neglected, is symptomatic of the present state of play regarding the former SPCK Bookshops four years after they were handed over to the St Stephen the Great Charitable Trust aka Messrs Mark and Phil Brewer on 31st October 2006. As well as handing over more than 200 staff, and we’ve seen the tale of pain and destruction which has taken place regarding that event, SPCK also handed over valuable freehold shop premises. Five shops – Bradford, Canterbury, Exeter, Truro and York – were handed over immediately. Exeter was sold in 2008 and York is in the process of being converted into a restaurant. No doubt we shall have news of other sales in due course. However, six shops – Chester, Hereford, Newcastle, Salisbury, Winchester and Worcester – were destined to be handed over fully to SSGCT in 2013 if they were still being used as Christian bookshops. Obviously none of them are, as the photograph demonstrates, so a logical thinker would say that ownership was still with SPCK who could do as they liked with the buildings as the Brewers had reneged on their part of the deal. If only life were that easy when the Brewers are around! They fight for their rights (and they’re always right) regardless, and now the Charity Commission and their Interim Managers are also involved. As so many legalities are involved, no one outside of the situation can be exactly sure what is happening, but it would appear that although the Interim Managers had stated they could only be involved in SSGCT affairs because that was a charity, not in any of the later organisations set up by the Brewers because they were companies, they are still working with SPCK but it could take until 2013 for any resolution. In the meantime shops stand empty in prime high street locations and suppliers who were not paid by the Brewers from mid 2007 through to the end of 2009, are still owed money at a time when trading conditions are difficult. It is sad that they would have to take the time, trouble and expense to chase up what they are owed because of the “technicality” of the Brewers trying to separate Charity and Company. The former SPCK shops existed because of the support of thousands of ordinary Christians. Some shops had their opening funded by local Christians raising the money to enable SPCK to purchase retail premises. All shops continued to stay open over many years because customers shopped there. So, what is the answer? Can anyone ignore what is happening and think the story is over? 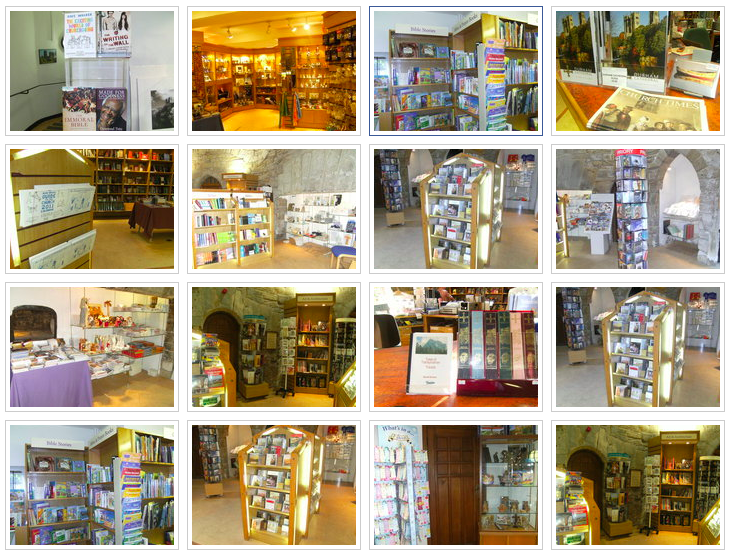 On 31 October 2006, all our bookshops and their staff were transferred to St Stephen the Great Charitable Trust. The Society will retain six freeholds for a period of seven years, when (subject to agreed conditions) they will also be transferred. On 30 October 2006, SPCK entered into an agreement with St Stephen the Great Charitable Trust (SSGCT), a registered charity no: 1109008, for the creation of a new Christian Resources Group including the SPCK Bookshops open at that date. Under the terms of the agreement and in furtherance of its charitable purposes, SPCK transferred its Bookshops activities to SSGCT on 31 October 2006 including the transfer of certain freehold and leasehold properties, fixtures fittings and stock. SPCK also agreed to grant leases to SSGCT, at peppercorn rents, on certain other freehold properties for a period of seven years, after which time they will be transferred to SSGCT if the SPCK Bookshops Group remains in operation on an agreed basis. York Press, 05/10/2010: "Christian bookshop in Goodramgate, York to be sold for restaurant use"
A FORMER Christian bookshop in the centre of York is poised to come up for grabs to restaurateurs after plans to transform it were approved. Businessman Ian Loftus has secured permission to revamp the disused Society for Promoting Christian Knowledge (SPCK) store in Goodramgate with the aim of attracting a high-profile dining-out name to the city. The owner of Stonegate’s Evil Eye Lounge and House of Trembling Madness bought the building following the closure of the bookshop two years ago and hopes its availability will help revitalise the street. The site is expected to go on the market within the next week following the approval of the plans, which involve turning the ground floor of the three-storey structure into a restaurant area, by City of York Council.